The truth is, aged care facilities operate at their best when they work with Medwest. We strongly believe that our superior expertise, knowledge, professional focus and unrivalled back up support give us the edge over all other providers in the industry, and with dozens of positive reviews and evaluations of our services from some of the states most popular and longest running facilities, it's easy to see why we are the go to choice when it comes to quality care for aged care residents. 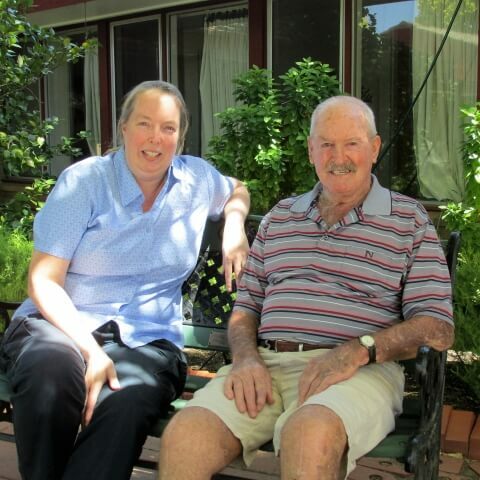 We not only care about the residents of aged care facilities, but the facilities themselves. That's why we work with dozens of facilities throughout Victoria such as Numurkah, Echuca, Euroa, Yarrawonga and Gisborne. Metro, rural or regional; we make sure that no matter where residents are located, we will be there providing first class assistance. We're committed to providing the lowest pay rates for podiatry within the industry at no sacrifice to the quality of care. We are eligible to accept from your facility’s visiting or in-house Medical Practitioners, Enhanced Primary Care plans (EPC) for any residents including those who hold Veterans’ Affairs gold cards, further decreasing outgoing costs for your facility. Also (just quietly) we're ACFI experts, which means we have the knowhow to turn facilities in the ACFI powerhouses. With a history that spans over a decade, we have been at the forefront of proving excellent service with genuine touch. We understand the challenges that residents and facilitates face and we are committed to lending our knowledge and expertise to help improve all aspects of residential aged care. It's not about profit, it's about people and we want to improve the health of everyone that we come accross, that's just the Medwest way.